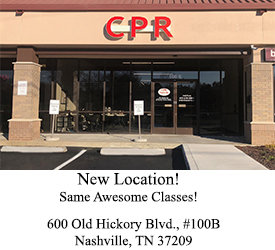 CPR Nashville teaches American Heart Association CPR classes to healthcare professionals in the Nashville, TN area. Classes included Basic Life Support (BLS) certification and recertification classes, as well as Advanced Cardiac Life Support (ACLS), Pediatric Advanced Life Support (PALS), and HeartSaver CPR for the public certification classes. 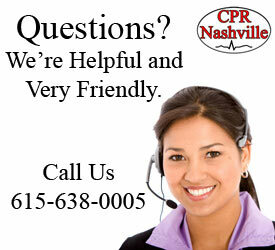 We focus on providing the best hands-on CPR classes in Nashville. 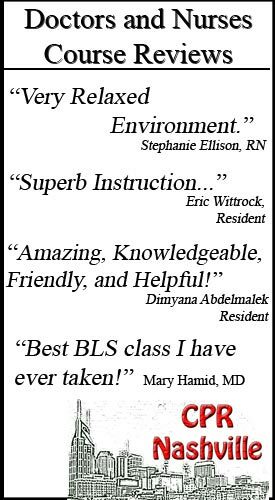 Our classes are organized, stress-free, and fast! 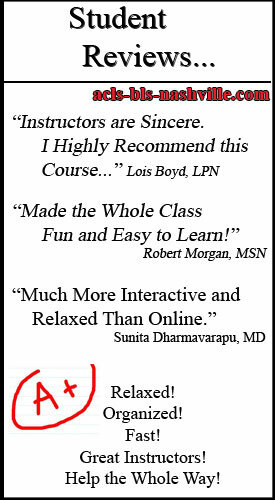 Our American Heart Association certified instructors provide a friendly and supportive environment. We feel a relaxed and fun classroom fosters a positive environment that allows for maximum learning. We are conveniently located in the Merchants Walk Shopping Center in Brentwood. 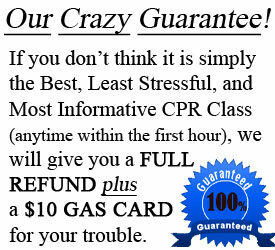 We guarantee the BEST CPR Certification in Nashville!